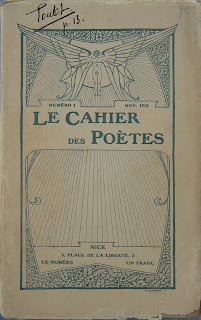 Toulet made an appearance with others of the Fantaisistes in the first issue of Le Cahier des Poètes, November 1912. 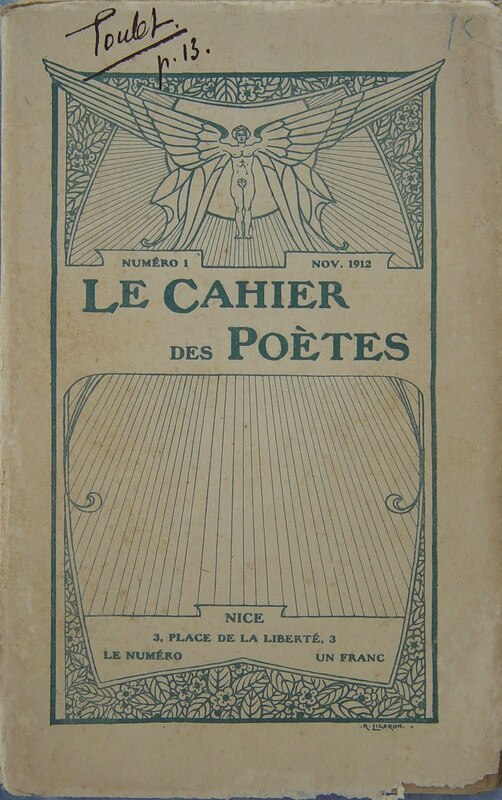 He published four poems under the general heading Madrigaux. The first three were printed under the group title L’eau qui courait (Running water), and were titled individually Agesipolis (to become Contrerime XXXVI), Le Cocher de Fiacre (Contrerime XXXVI) and Pyrenées (Contrerime XXXIII). The fourth poem, under the heading Querelles was called La Paille Rompue – I guess you could call it “The Last Straw”. It was to become, with two very small alterations, Contrerime XVI. Toulet substituted Trottoir de l' Élysé'-Palace for Trottoir de l'Élysée-Palace in the first line for metrical rigour, and in the second line - Et toi, nuit en velours became Dans la nuit en velours. Make pearls of her eyes.